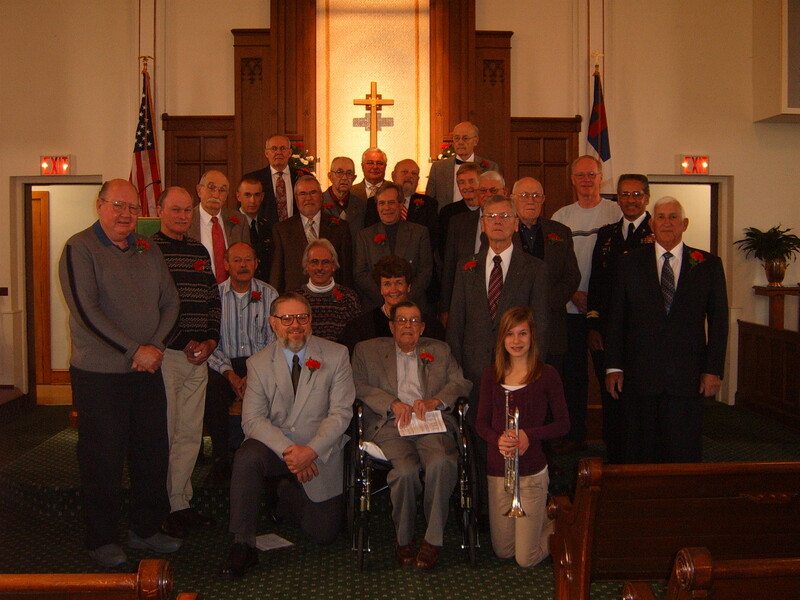 On Nov. 14th, 2010, veterans were recognized in a special worship service at Zion. We were blessed with wonderful music by our choir, a powerful message by guest speaker General David Hicks, and a fitting conclusion of taps, played by our own Eleanor White. General Hicks is a new friend to Zion. He and his wife Janice have recently moved to Adams County. General Hicks is the retired Chief of Army Chaplains, and he supervised 3000 military chaplains in their ministry to the soldiers and families in their care. The veterans attending the service each received a red carnation boutonniere, and were recognized by a standing ovation from our congregation. Anyone interested in our ministry to veterans is welcome to serve on our veterans task forces. We are always on the lookout for new ways to serve those who served us. Thank you Vets!